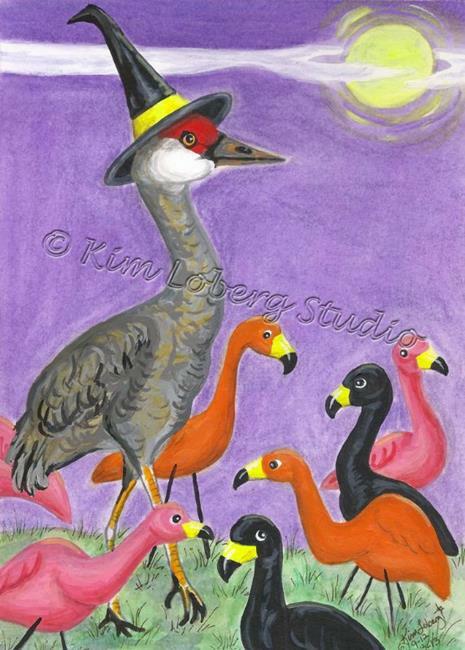 Sanguine the Witchy Sandhills Crane was invited to the flamingo's Halloween garden party. She towers over the lawn ornaments, but she's having a good time! This 5" x 7" small work of art is currently listed for sale on my eBay store.